Want that perfect ocean view but don't want to deal with the condensation that sometimes forms between window panes? Single-pane windows could be the answer. 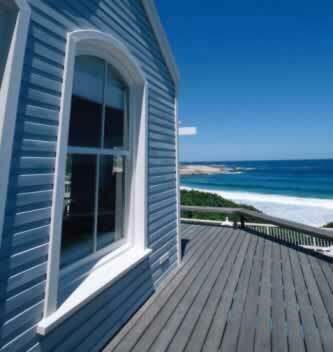 Easy to clean single-pane windows will make it simple to get rid of the salt buildup that is the bane of every coastal property. The view will never have condensation getting in the way, as single-pane windows can simply be wiped clean of any such problems. Though the windows are not as sturdy as double-pane windows, with the proper shutters on the outside of your home, you can protect the single-pane windows during even the most terrible of coastal storms. If the occasional pane does get broken, replacing the glass is much easier than hiring a professional installer to bring out another double-pane window. The traditional beauty of single-pane windows is the perfect frame for looking out over a vast blue ocean and enjoying the view!